Girls shine in wet Chiltern League at home. On a wet Sunday morning a combined U10 & U12 B team from Buckingham took on teams from Harrow, Amersham & Chalfont, Wycombe & Southgate. 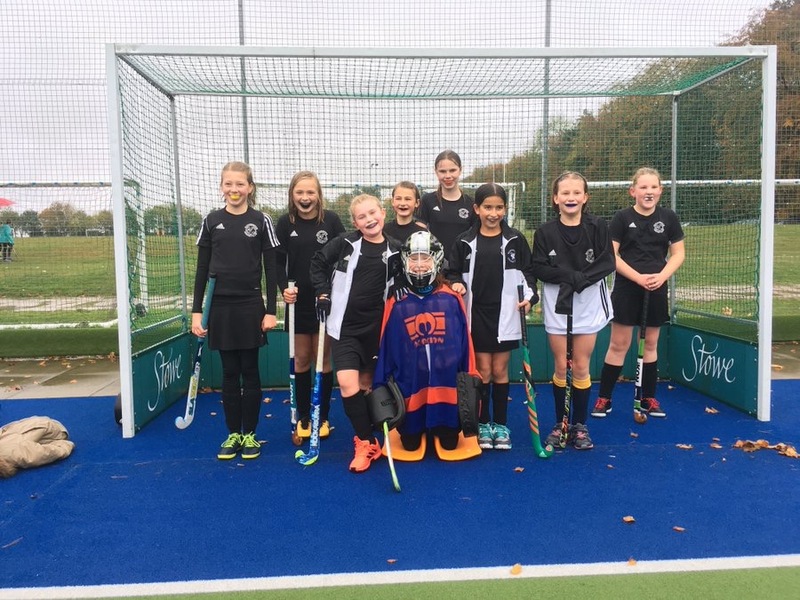 A mixture of wins and near losses were had but throughout the day the girls conducted themselves fantastically and played some exciting and progressive hockey. Throughout the day the girls came up with their own goals and principles and even implemented their own formations! Thanks to everyone for attending from the other clubs, especially to Tim from Harrow who helped officiate the tournament!